Regardless of the used ergonomic office chairs you choose, you can truly rest assured knowing that ROF has spent the time to make sure that every detail has been covered. 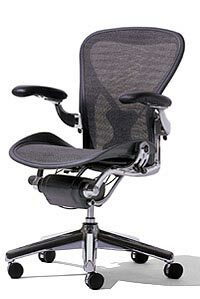 Because of our commitment to quality, ROF offers used ergonomic office chairs made by only the most reputable brands and built to the highest specifications, ensuring that you get top-notch used ergonomic office chairs at a fraction of the cost of new. Plus, you can select from as-is condition or refurbished, providing exactly what you need at the price you deserve.